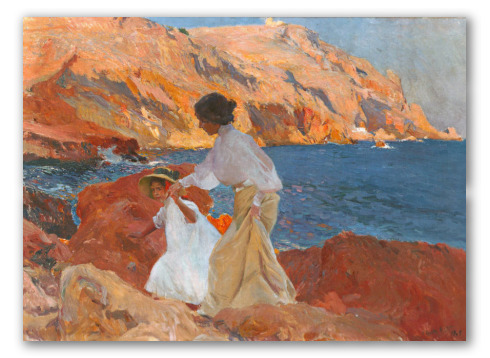 "Clotilde and Elena" by Sorolla, Valencian Artist. 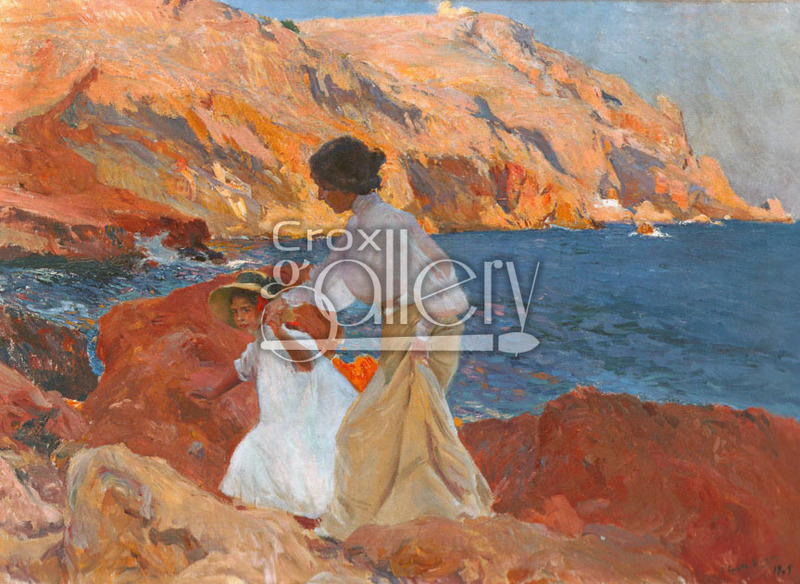 Clotilde and Elena on the Rocks is a work of art in which the Valencian artist portrays his wife and daughter walking on the rocks at the beach. By the artist Joaquín Sorolla y Bastida.